Let’s get your mixes sounding loud and clear with the best mastering limiter plugin software. While practically any limiter could do for mastering purposes, professionals and “those in the know” tend to rely one or another to get the sound right. We’ll list of the 5 that are most in demand, and pick the top choices for you. Quick answer: PSP Xenon is our top pick, but the super popular Fabfilter Pro-L is also a great option to get (it’s also cheaper). The rest of this article goes into each plugin more in-depth, listing the features, the good, the bad, and the ugly. A limiter, like the compressor, is another one of those plugins that many attribute a lot of mystery to. Primarily because, to some, it’s a mystery how they work. 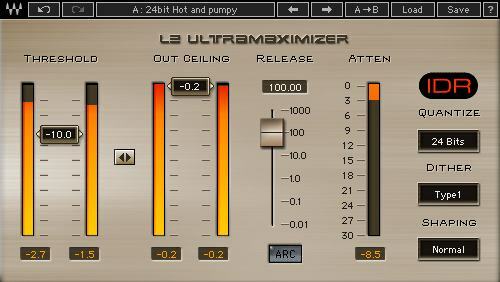 A limiter plugin is a dynamics processor that restricts or “limits” the level of a signal to a specific threshold. Essentially a type of compressor, a limiter prevents the signal from exceeding the predefined threshold entirely. So in contrast, compressors will reduce the dynamics range of the signal gradually when it exceeds the threshold, while a limiter says “you shall not pass” once the signal reaches that threshold. It’s like the difference between keeping your audio signal on a leash (compressor) and shutting the gate entirely (limiter) so nothing gets beyond a set boundary. This makes the compressor good for controlling unruly dynamics, and limiters good for squeezing as much dynamics as possible into a track without clipping. They may be used to limit individual instruments or tracks during the mixing stage, or entire stereo mixes during the mastering stage. You can read more on how on applying the right limiter settings to your songs for the best results. Some of the features that come with mastering limiters may not have much use in more general studio applications. 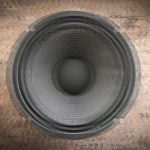 But given the unique requirements of audio mastering (Wiki article), features that can be superfluous–and even unnecessary–for mixing may be indispensable for mastering. For instance, limiters employed in mixing typically have compression ratios of about 1:10. This is usually sufficient for individual instruments. But for mastering purposes, you want a limiter with precise output limiting and higher ratios than that which general-purpose compressors and limiters are able to provide. Limiters with precise output level control and high ratios are often referred to as “brick wall” limiters. Mastering limiters may also include additional tone shaping features, typically at the end of the signal path. Common additions are soft saturation and/or soft clipping algorithms, which are useful for imparting warmth and extra harmonics reminiscent of the sound recorded ‘hot’ onto an analog tape. One of the most common criteria for choosing a mastering limiter is transparency. 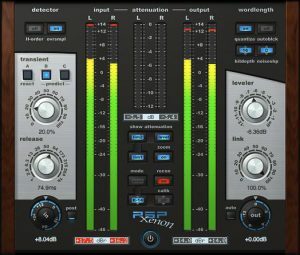 Because mastering limiters will be called upon to process the entire mix, you will want a unit that provides as little coloration as possible. … so you will want one that processes your audio according to your needs without imparting its own ‘color’ or tonal imprint, which is what a general purpose limiter, great of individual tracks, may do. That being said, you also don’t want a mastering limiter that tames your mix to the point of lifelessness. There is such a thing as too much of a good thing, and your effort to avoid harshness and excessive coloration could very well push your mix the other way. The result: a bland and forgettable mix with a distinct lack of punch or impact. Now let’s take a look at the limiter plugins that you can use for mastering your tracks. 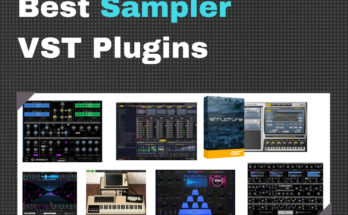 Remember to take a look at the “Final Thoughts” section for the comparison and consensus on these plugins. PSP Xenon is a full-band, dual-stage limiter with a great set of cutting-edge features great for crunching your tracks. It employs a two–stage process for limiting signals, the first of which applies gain reduction while allowing transients to pass through. Once they get to the second stage, the transients are processed separately via look-ahead and envelope detectors. A ‘leveler’ control then applies gain reduction on louder passages before applying limiting, resulting in a rich and full sound without introducing distortion. PSP Xenon is frequently praised for being clean and transparent, and its ability to preserve the most delicate elements of a mix. It is also lauded for its intuitive design, which shares many of the same features and functionalities as other PSP products. Xenon is so transparent that it is frequently used in productions wherein maintaining the integrity of the source audio is of utmost priority, such as in jazz or classical music recordings. PSP Xenon has a serious combination of features and functionality that makes it a standout among the current crop of limiter plug-ins. We were especially impressed with the leveler and stereo unlink controls that allow the signal to be cranked without introducing distortion. The transient stage is also among the most flexible we’ve seen, enabling percussive elements to retain their punch. In terms of transparency, Xenon is pretty much the one to beat. 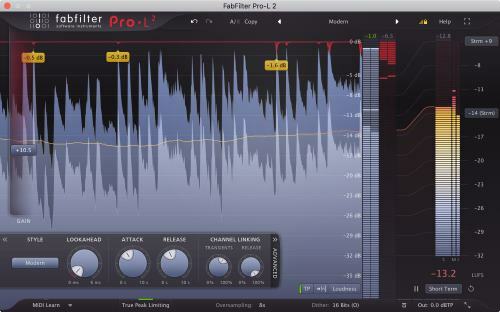 Fab-Filter’s Pro-L is perhaps the first choice that comes to mind of anyone looking for an innovative true peak limiter. It’s suitable for a wide variety of mastering and mixing applications. It has features like precision controls and an intuitive user interface, so the Pro-L manages to sound great regardless of the source material. I’ve seen the FabFilter Pro-L called a “game changer” in some parts of the internet. Some people consider the user interface “revolutionary,” and the metering feature is pretty much untouchable. “Intuitive” is a word that frequently comes up in reviews, with both pro and hobbyist users praising its unique algorithms and versatile controls as well. There are many reasons why the FabFilter Pro-L could deserve a spot on your mastering toolbox. It’s rich, loud, and totally satisfying, so it delivers good value in terms of sonic quality alone. The metering is also a great addition, providing much more effective average loudness readout than most other limiters. That said, it may not be the most transparent limiter out there, but as a mastering plugin, it is sufficient. The Pro-L definitely packs a solid punch. Sonnox Oxford Limiter is a peak limiter plug-in that will preserve the transients of your source material while maximizing volume and clarity. It delivers a good level of detail that few other brick wall limiters are able to provide, so it’s versatile enough for nuanced limiting as well as more creative limiting applications. Now on version 3, Oxford Limiter uses a system of four processes: preprocessing gain control, program enhancement and overshoot control, reconstruction metering and compensation, and dithering and noise shaping. Most users rely on Sonnox Oxford Limiter to deliver its trademark transparent quality. But the plug-in has also won many users over for its ability to shape audio into more creative directions. Regardless of approach, most users of Sonnox Oxford Limiter acknowledge its excellent sound and simple and straightforward, yet elegant performance. A great peak limiter in the classic style, Sonnox Oxford measures up admirably to most every limiter in this roundup. The enhance section adds a certain ‘exciter’-like quality to source audio that isn’t at all harsh or overbearing. Dynamics and Vintage Limiter are two modules in the popular mastering suite that everyone wants to get these days, iZotope’s Ozone. Now on version 8, Ozone has grab bag full of signal processing goodies mashed with an AI. The result is a package most every studio engineer or producer will find indispensable (or irresistible). As for the limiters, Dynamics is basically a “frequency-conscious” dynamics module that enables the dialing out of harshness and other unwanted high-end artifacts. Vintage Limiter for its part is a compressor/limiter inspired by the legendary Fairchild 670 Compressor/Limiter with some modern features added. (You can learn more about the original hardware unit from this article). Interactive threshold control sets threshold points for the limiter and compressor stages with. Most comments on the Dynamics and Vintage Limiter modules highlight how easy it is to use (even for beginners) as well as the top notch sound quality. Many producers also appreciate the ability to handle most any type of mixing and mastering projects with just these two tools. Admittedly, the ease of use of these and the other modules in the Ozone package means that it is easy to go overboard and ruin your mix (raise your hand if you’re guilty of this). Nevertheless, the power and flexibility that these two provide are undeniable, and the other modules are simply the icing on the cake. Between the Dynamics and Vintage Limiter modules, you are packing enough firepower to get you through most every conceivable scenario. Covering a broad range of dynamics processing and mastering needs, these two are a great step up from the native dynamics suite that comes with your DAW. Also, if you’re new to mastering, the suite has the ability to do the work for you. Perhaps the only thing we could say against the Dynamics and Vintage Limiter is that it is quite easy to go overboard and ‘overcook’ your mix with them if you aren’t careful. That, and the only way to get these limiters is if you buy the whole Ozone suite. Great suite to have as a “one stop mastering tool,” but may be much if all you want is a limiter plugin. Waves L2 is an undeniably classic piece of software that has become something of an industry standard among peak limiting plug-ins. Also known as the “Ultramaximizer”, it has found a home in many producers’ mixing and mastering toolkits, due to its simplicity, straightforwardness, and reliable results. Despite its seeming simplicity, L2 actually has some pretty sophisticated features under the hood, including look-ahead functionality, level maximization, and high-resolution capability. Nevertheless, it remains remarkably easy to use, and it is pretty much a studio essential regardless of your level of knowledge and expertise. The L2 has achieved quite a following over the years, with many users attesting to its simple and straightforward performance and its distinctive sonic character. True, the L2 may not be for everyone, but for every user that is turned off by its grungier and less pristine qualities, there are many more that find it an essential mixing and mastering tool. Waves L2 is a classic for good reason. Even with so many limiter plug-ins having come and gone over the years, L2 remains a popular choice for its simplicity, boldness, and undeniably characterful tonal imprint. Obviously, the L2 isn’t the cleanest and most transparent mastering limiter around. Even so, its quick and dirty operation and its unique tonal signature make it an indispensable part of any producer’s mastering toolbox. Simply put: you can always count on the L2 to deliver. The truth is, you could very well handle most any type of limiting related task with any one of these plug-ins. Even the venerable Waves L2 is just as useful and practical now as it was when it was first released, and there is no reason why you still can’t use it in a modern production today. That being said, FabFilter’s Pro-L and PSP’s Xenon are noticeable steps up from the L2–and indeed, from the rest of the pack. With their cutting-edge features, innovative functionalities, and unbeatable sound, the Pro-L and Xenon make’s really convincing just how much plug-in technology has advanced in the years. 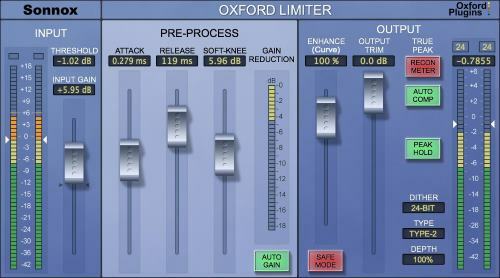 We’d also have to give props to Sonnox Oxford Limiter and the Dynamics and Vintage Limiter modules in Ozone. The Vintage Limiter is an especially wonderful recreation of the classic Fairchild 670 limiter, and Sonnox Oxford’s offering is no slouch either. Between the top two contenders for mastering– FabFilter Pro-L and PSP Xenon–we would have to give the slight advantage to PSP Xenon. Now, don’t get us wrong: the Pro-L is every bit a world-class limiter plug-in and we definitely would be happy to have it handle all our limiting tasks when mastering our tracks. Even so, the acoustic transparency of the Xenon and its ability to preserve the most detailed transients won us over in a big way. For our money, when it comes to mastering, Xenon is pretty much the pinnacle of software limiting technology when it comes to crunching out transparent and clean tracks.